I work full time out of home and one of the things that I cannot compromise is the peace of mind knowing that even when I'm out of the house, I know that my kids are safe, unharmed, and in proper care of the yaya I entrusted my kids with. Remember the news that came out on TV and also online about abusive and evil I must say na yayas to their alaga? It got me so paranoid down to my veins. I'm sure many working moms and dads could relate to this paranoia and wouldn't want that unfortunate thing to happen to their children. Going back to employers who caught their yayas abusing their children, the common denominator is catching them on CCTV or IP Camera. That definitely sold me to the idea of installing one especially after firing the last two yayas for preventive reasons. I know I should have installed one a long time ago, so at least now I've realized its importance. There are so many CCTV and IP Cameras, branded or generic, available in store and online which overwhelmed me, due to vastness of available brands and very technical features and benefits. But since I'm a digital mom, I prefer getting an IP camera. I found all these and more in Qihoo 360 Smart Camera Kit. Microphone and speakers Opus Dynamic Audio Codec. It's easy to install. Usually, I'm a bit afraid of anything tech, that's why I married an IT expert. But this Smart IP Camera is so idiot-proof. It's easy to install! I used to be threatened by IP cameras because I thought I would have so many things and cables to connect and I get paralyzed at the word installation. But when I opened the box, I saw only 5 things: the cute Qihoo Smart WiFi Camera, a long cable, the adaptor plug you connect the cable to, the manual, and the surface sticker (if you don't plan to magnetize the camera on steel). It's easy to use. The steps I had to do lang were: Plug the camera to turn on, install the App where you register an account, pair your smartphone with the camera, attach the camera where you want it. That's it! Easy peasy! It has an APP downloadable for FREE on Play Store or Apple Store. Juat look for 360 Smart Camera. The App is where you'll be able to view live what's happening in the area where you installed your camera. I can see my kids, the house, anytime I want. When I want to see what's happening, I just open the app view the super HD clear videos with fast shutter speed, meaning it's not lagged or slowmo or yung nakakainis na buffering pa. Plus it has 8x digital zoom. So if I want a closer shot of my yaya and my child, pwede and its clear ha! Even when it's dark, I can view the area clearly with the help of its night vision feature. It has a built-in mic and speaker. Hurray for this feature! It's like a Walkie Talkie. When I see my baby in the living room I singa or talk to him and yaya through the camera. So even when I'm away for a day at the office or when I have an official business trip, my kids and I would still feel as if I'm not really away. I can still be "present" even when I'm away. It's budget-friendly. For me this Qihoo 360 Smart is worth more than the amount you'll pay for purchasing it. 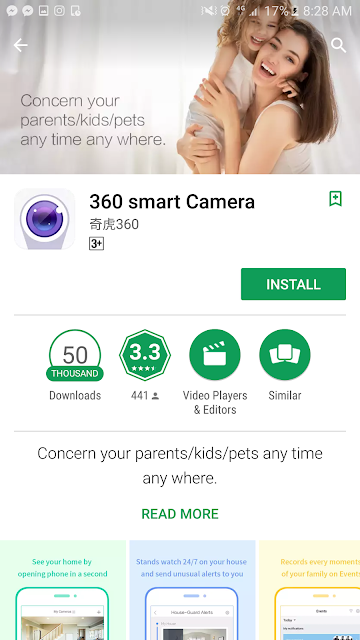 I've searched and shortlisted some IP Cameras, but the Qihoo 360 Smart Camera passed all our Mommy Practicality and Daddy Technicality requirements and tests. Overall, features, benefits, actual usage, connectivity to WiFi and smartphone /App use, and practicality, pasado. It's a good investment for moms and dads like me who want to achieve some peace of mind when you go out everyday for work or business trips. 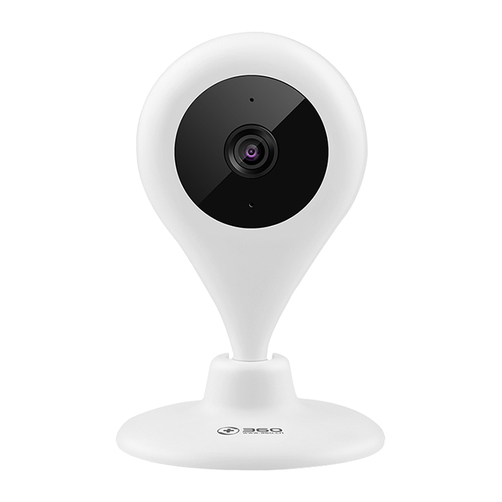 The Qihoo 360 Smart Camera Kit is available in Lazada and Shopee.